We were setting up our demo unit for IFSEC when we noticed our NETGEAR router has a USB port. 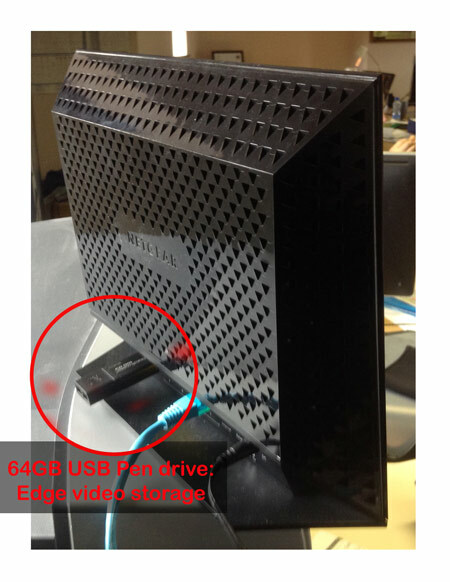 We bought a 64GB USB pen drive and set it up as Edge storage for Video Motion Detection on our Viewer for AXIS Cams app. We thought that was pretty cool, it is clear that edge storage is getting easier and more powerful every day. Find out more about the latest update for Viewer for AXIS Cams here or call in for a chat at IFSEC stand B110. This entry was posted in iPhone/iPad, Viewer for AXIS Camera Companion, Viewer for AXIS Cams by admin. Bookmark the permalink.